I’ll talk about the game more in the SEC Wednesday blog, but I’ve updated the LSU-Arkansas rivalry entry. Here is the one for Florida if you wanted to see that. Going into this week, there was only really one team within striking distance of Clemson, and that was Michigan. We know what happened there. Next was Ohio St., but in order to have enough points to move up to #2, the Buckeyes would have had to beat a better opponent than Maryland. Had they played Minnesota, for instance, it might have done the trick. It doesn’t happen often among the higher teams, but it is possible to maintain a ranking despite a loss if you have a sufficient lead over some teams and you have nearby teams lose. It also helped the Tigers that Troy got a quality win over Appalachian St. and Georgia Tech beat Virginia Tech. Clemson lost points overall, but they could have lost those points for the loss without gaining any for prior opponents. Sometimes there is an even lower team that can pass up a losing team like Clemson, but not this week. After Ohio St., the next team was 2-loss Penn St., who also has a loss to Pitt. That would have made zero sense. Three of the next four after Penn St. were Auburn, Washington, and Texas A&M. You don’t pass up #2 by losing. To round out last week’s top 10, we had Western Michigan, who beat a bad Kent St. team on Tuesday, and Louisville, who has lost to Clemson. 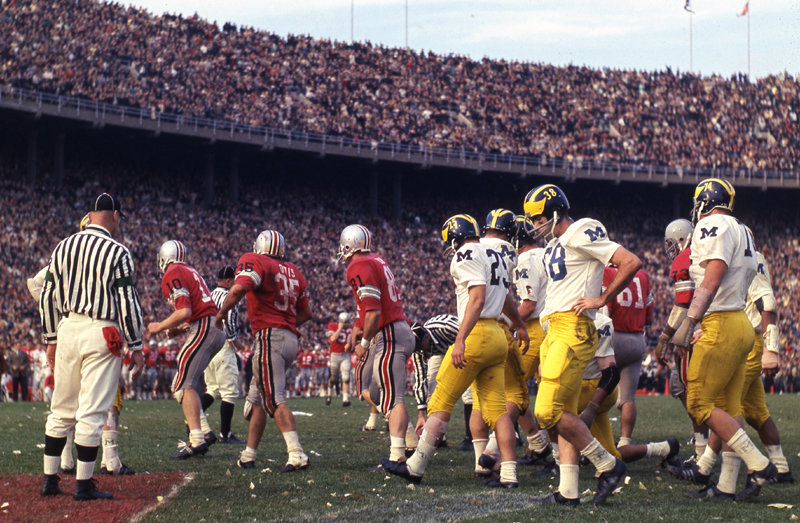 Although Ohio St. may not even make the Big Ten title game with a win, I think we can expect another classic Ohio St.-Michigan game. So the gap between Clemson and Ohio St. did narrow from about 0.18 to about 0.01. So beating Michigan, for instance, on the same day the other team beats South Carolina counts for a lot more than 0.01, but I don’t project into the future; I just provide a snapshot of where things stand right now. There is a simple argument for Louisville being ahead of Clemson: they play in the same division as Clemson and lost to a better team. Even assuming equal conference schedules (which isn’t really the case since Louisville didn’t play Pitt), Clemson also beat Auburn. The best non-conference win Louisville can hope for is Kentucky, which will most likely enter the game 6-5; but even then you shouldn’t get credit for a win until you play the game. Just as before, I can’t come up with a good reason to put Michigan ahead of Clemson. I hope the CFP committee does better than the polls. I mentioned Western Michigan should generally be going downward, but when you have four teams in front of you lose and you only gain one spot, that’s still evidence that they’re not accumulating many points. Colorado did gain some points, but several other nearby teams gained more points; and the losses by good teams weren’t damaging enough to help. Assuming only one team gets in from the Big Ten and the ACC, there is still another opening even though you have to go down to #7 in the polls before you get to the team. That team is Washington, which also lost of course (although I have them 12th). This was the first time since 1985 that numbers 2 through 4 all lost in the same weekend. As more relevant games are being played, the Big XII teams are all moving up. It will be interesting to see if the Big XII champion is in the mix by the end. A little later than I prefer, but I thought some Eastern Time sports fans may be up due to the baseball. I honestly wasn’t surprised by anything in the CFP rankings, so that’s why I didn’t write a special blog last night. 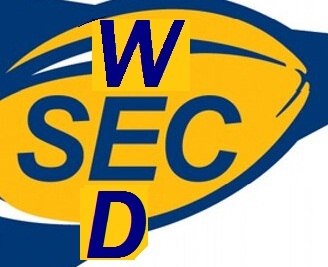 I do have something I wanted to rant a little bit about before getting to the SEC Wednesday blog though. I was confident a team with a loss was going to be in the top 4. Obviously I had Ohio St. in the top 4, but A&M was a very close fifth. I guess they felt more comfortable with a loss to Alabama than a loss to Penn St. for obvious reasons. Although I have them very high—and I’ve discussed why multiple times—I wasn’t expecting Western Michigan to be in the top 20, but I’m encouraged they were ranked at all since the CFP is notoriously skeptical of Group of Five teams. I’m also encouraged WMU is the top Group of Five (G5) team. The G5 teams usually had one fewer loss than the opposition. I would point out that Northern Illinois and Hawaii had atrocious schedules and only got so high on account of their record. It pre-dated this blog, but I can assure you I was a Hawaii detractor the whole year in 2007, and you may remember how I felt about Northern Illinois. I had the Huskies 17th (behind Florida St.) going into the bowls that year. I had stronger loss penalties than I do this year, so now they would be even lower. It’s not worth the trouble of searching, but I believe I said here that they weren’t really 17th-best. I’d also like to mention that Northern Illinois went 1-1 against P5 teams in 2012, but the win was against Kansas, which finished 1-11. In 2007, Hawaii’s only game against a P5 opponent was a close win over a Washington team that also finished with a losing record. This year, by contrast, it appears that both Western Michigan and Boise St. have defeated at least one eventual P5 bowl team apiece. Northwestern still has to win two games, but Purdue and Illinois only have two conference wins combined. The Wildcats also play un-ranked Minnesota, which has the same conference record (3-2) as they do. Western Michigan and Boise St. are both 2-0 against P5 opponents regardless. The first three games got my hopes up before disappointing me. Unfortunately, the Texas A&M defense allowed a touchdown after holding the other Aggies to 3 points over the first three quarters. This caused the closest New Mexico St. game against an SEC team other than Kentucky in several years. Georgia hung tough for a half, but I was very surprised the Bulldogs were shut out by the Gators in the second half. I knew when South Carolina scored in the fourth quarter, Tennessee most likely was not going to beat the spread, but I thought the Vols would come back to win until the very end. Thankfully the reverse happened with Auburn, who trailed after every quarter but the fourth, which they won 13-0 to beat the spread. I mentioned Kentucky earlier. The Wildcats are still not a great team, but they’re beating the spread every week. I don’t know what the bookies were thinking with Missouri. Similar to last week, I was 5-1 in picking winners and 2-3 against the spread. (Mississippi St. won an FCS game against Samford.) This brings my records to 64-12 overall and 30-35-1 against the spread. Rather than wasting words, I’ll just let you know when I pick an upset win below. I’m picking Georgia Southern to beat the spread of 27.5 against Ole Miss. It could be a blowout, but the Eagles took Georgia to overtime last year. Ole Miss beat a similar team in Memphis this year but only won by 20. Also this year, Georgia Southern’s only game against a P5 opponent was a 35-24 loss to Georgia Tech. Despite falling short of the spread against New Mexico St., I think Texas A&M wins by at least 14 this week. The Aggies beat Auburn by 13 (on the road) and Arkansas by 21 (at a neutral site). The only thing that worries me is that the Aggies only won at South Carolina by 11. I’m put somewhat at ease by what I think is the most similar Mississippi St. game, which was when they hosted Auburn about a month ago and lost by 24. Vanderbilt is a decent team that has fought admirably in the Commodores’ three conference losses so far, but they haven’t played an opponent as good as Auburn yet. If you can lose in Atlanta by 31, you can lose on the Plains by more than 26 (even). Also, I think Arkansas is better than Vanderbilt (albeit not by a whole lot), and I don’t need to recount what happened to them a couple of weeks ago. Speaking of Arkansas, the Hogs host Florida, which is now on track to win the SEC East. The Gators even have a loss to spare. Arkansas should be fresh after a week off though, and Florida hasn’t performed that great on the road (loss to Tennessee by 10 and beat Vandy by 7). Gators by 3, which is less than the 5.5-point spread. I think South Carolina is improving and Missouri is getting worse. If it were @Missouri, I’d think about it, but Gamecocks -7 all day long. With Tennessee, I’ll just go with the win of course since there is no ESPN line for FCS games. Georgia is favored by 2 over Kentucky. Although the Wildcats always seem to disappoint in the end, they’ve treated me well the past few games while picking Georgia has been a disaster most of the year. Kentucky to win. 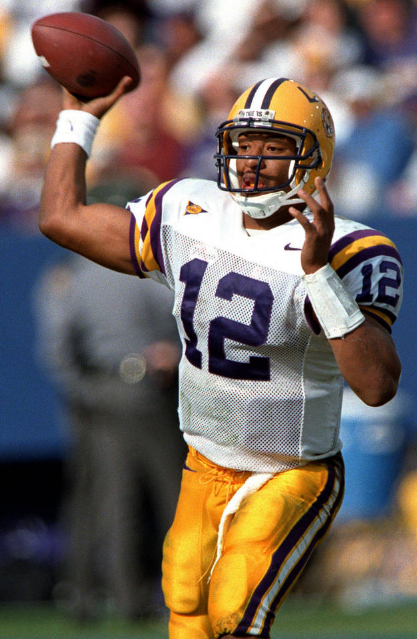 Marcus Randall, not to be confused with JaMarcus Russell, may have engineered the “Bluegrass Miracle” in 2002 but could not even get the Tigers on the board against Alabama that year. Alabama is favored by almost an overtime-safe margin (very rare to win by 8 in OT), so I have to take LSU. 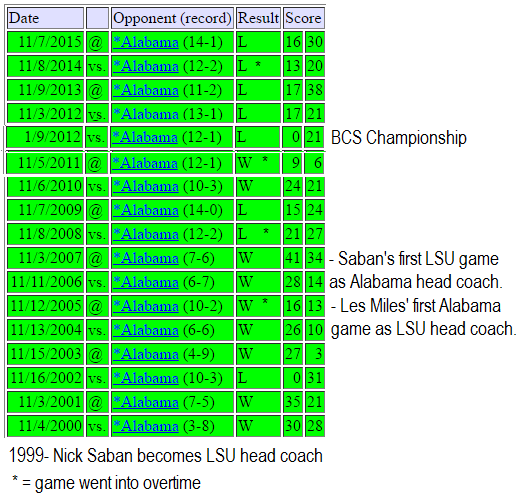 The worst two LSU teams of the Miles tenure (2008 and 2014) both lost to the Tide in overtime at home. Other recent home games in the series for LSU were a loss by 4 in 2012 and a win by 3 in 2010. I really don’t think this will be the worst LSU does in the series at home since 2002. I can’t countenance LSU losing to Alabama again, so I’ll tell myself it won’t happen this year even though the prudent pick is Alabama to win. The best argument I have is the gambler’s fallacy: LSU has to win a marginal game against Alabama at some point; and as I said, I don’t think this is the first team to lose by more than one possession at home to the Tide since 2002, which incidentally was Nick Saban’s worst team at LSU (8-5). I’ve plugged it a few times, but for more on the LSU-Alabama series, you know what to do. I haven’t been been doing my weekend blog with everything going on with the election. I don’t want to say anything about my political leanings here, although I would mention that since 1984 the LSU/Alabama game has corresponded with the party that won the presidential election. When a Republican won, LSU beat Alabama; and when a Democrat won, Alabama beat LSU. For more on the series see here and this is a list of other related blogs. Anyway, my weekly schedule may change slightly if I have a reaction to the first College Football Playoff rankings, which will be released on Tuesday afternoon. If I post on Tuesday, I most likely will not post on Wednesday. One reason I’m posting today is so the blogs can be more spread-out. I usually ignore the polls, but I think there are some important things to address with the losses that took place over the weekend. Apparently, because some teams lost, Nebraska essentially gets a mulligan. The best team the Huskers have beaten is Wyoming, but they stay in the top 10 despite a loss. I can’t even take that seriously. LSU lost to Wisconsin by 2 points and fell 16 spots, but now losing a close game to Wisconsin is like losing to Alabama I guess despite the Badgers’ two losses. Other than now-#22 (my #30) Oklahoma St., Baylor has beaten NO ONE and now has a loss to a Texas team that didn’t even get a single top 25 vote THIS WEEK. But the Bears stay 13th. I understand Western Michigan being a lot lower than I have them because for me they’ll keep going down while for the polls (assuming wins) they’ll keep going up despite not having any tough opponents coming up, whereas the only way a team like Baylor, West Virginia, or Nebraska fails to get quality wins in the coming weeks is if they lose again and fall below Western Michigan anyway. Nebraska might have to lose twice though. I’m hoping the college football rankings exercise some greater degree of sense, but I suspect they’ll give the three Power-5 teams I just mentioned the benefit of the doubt more than they deserve. I didn’t have the time and energy to look it up for my last rankings blog, but I wanted to mention that last week is the first time Colorado has been ranked in my top 25 since September 30, 2007. The Buffs finished that season 6-7 after losing to Nick Saban’s Crimson Tide in the Independence Bowl. 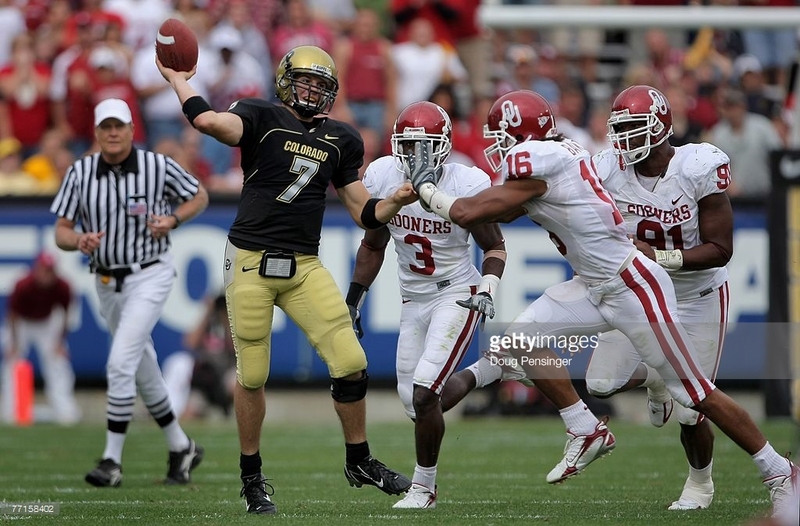 Colorado QB Cody Hawkins throws a pass in the upset of Oklahoma in September 2007. Due to the large number of losses, Colorado just barely remains in the top 25 this week despite the bye. As I anticipated, Alabama remained #1 despite the Clemson win (while the Tide was idle). It also helped Bama that USC and Kent St. won. Clemson had another close call, but being that the game was on the road, this does nothing to diminish how many points they get. I only lower the reward or penalty if the home team wins a close game (defined as overtime or within 3 points) since home field accords an advantage or about 3 points. The Tigers were just too far behind to surpass the Tide in one week. Ohio St. won of course, but it also helped that Wisconsin (the Buckeyes’ best win) won. 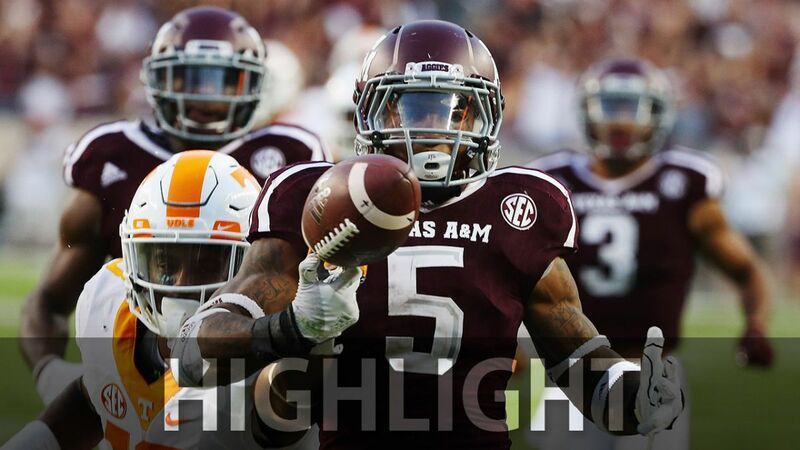 Texas A&M’s best win had been Tennessee, which lost. The Aggies also didn’t gain very much by beating New Mexico St.
Western Michigan fell two spots during the bye week, but this fall will probably continue as the Broncos will play the lower-rated MAC teams in the coming weeks. Tennessee still has the best schedule, which is why they remain so high; and again, it also helps that so many other teams lost. 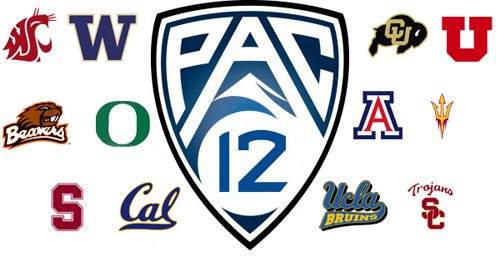 The Power-5 teams between 7 and 21 are well-positioned to move up into the top 5 or top 10 with quality wins. I don’t have some vendetta against the teams in that range, but some of them haven’t played the better teams in their respective conferences yet. One example was Washington, who hadn’t really played anyone before this week. But they beat a good team this week, so they move up. Baylor lost to a mediocre team, so they remain un-ranked. The Bears still have chances for quality wins though. Boise St. is another team that I expect will fall in the coming weeks since the Broncos do not play anyone better than #100 Hawaii until November 25. Boise St. was upset by Wyoming, which as I mentioned played Nebraska earlier in the season. So this is one reason why the Huskers didn’t fall lower. The conference standings tightened because Minnesota joined the top 40 while the number of SEC teams in the top 40 remained the same. Arkansas fell out as a result of its bye week, but Kentucky moved into the top 40. 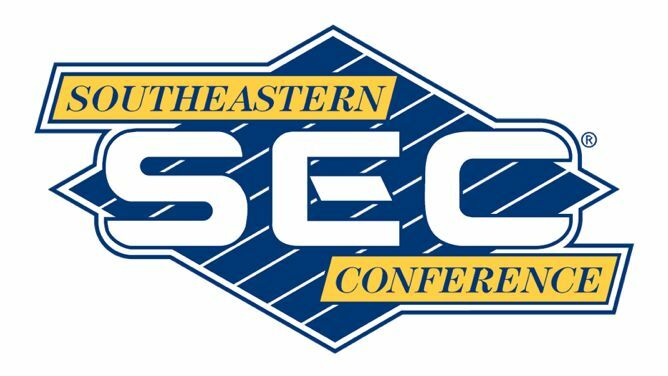 South Carolina’s upset of Tennessee also hurt the SEC because it knocked the Vols out of the top 10 but did not add South Carolina to the top 40 (the Gamecocks are now #50). It may increase the number of bowl-eligible SEC teams when we get to that point though. The ACC was hurt slightly by Clemson’s win over Florida St. since it knocked the Seminoles out of the top 25, while a loss may have put both in the top 10. Also, Wake Forest loss to Army, which took the Demon Deacons out of the top 40. Please see here for my blog about the LSU-Ole Miss series, the second-longest football series for LSU. The conference standings are interesting. The standings on my site are only looking at the top 40. 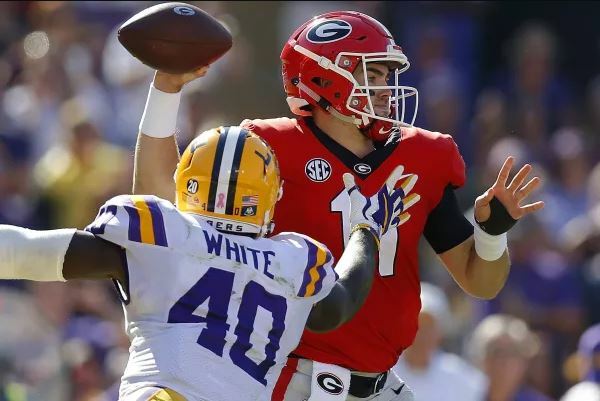 There are FIVE SEC teams (LSU, Georgia, Ole Miss, Vanderbilt, and Kentucky) in numbers 41-55, however. The winner of LSU and Ole Miss at the very least should join the top 40 next week, which would help the SEC assuming no one else falls out. Although it may help in traditional polls, the unexpected bye weeks did not help LSU and Florida in my ratings. The ACC is higher in those standings because it has a mass of four teams (Wake Forest, Virginia Tech, U. Miami, and Georgia Tech) between 26 and 37. This is also useful background for why Clemson came ahead of Alabama in the computer ratings. I am keeping Alabama #1, however, since if the Tide win next week they will certainly be #1. I had said I THOUGHT Alabama would be the natural #1 this week, but beating an undefeated team is better than beating a one-loss team. Also, Alabama isn’t as far from #1 now as they were last week. Clemson is idle next week, so they would be unlikely to remain #1. Texas A&M with a win could be #1, but I can’t be sure. 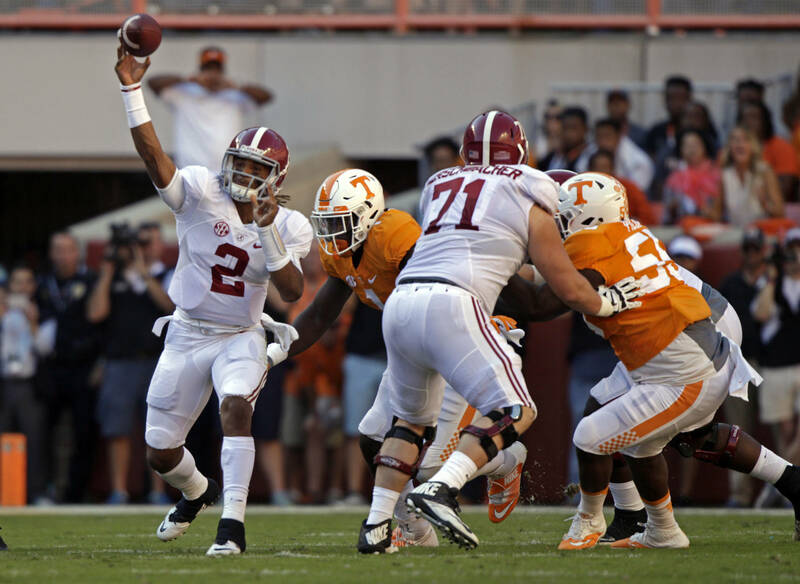 Alabama will look to continue its success at Tennessee as the Tide return home to host the Texas A&M Aggies. Given how high Penn St. is right now, Ohio St. may jump Michigan with a win next week; but I would not expect the Buckeyes to compete for #1 just yet. However, since Alabama has a bye week and Texas A&M plays New Mexico St. on the 22nd, Ohio St. could be playing for the #1 spot in the next two or three weeks. The #1 spot is the only change I’ve made to the formula and the only change I plan to make going forward. I anticipate that regardless of what happens, I will follow my formula for #1 at the latest after the games of November 5 when Ohio St. will play Nebraska. Also on that date Alabama plays LSU, Texas A&M plays Mississippi St., Michigan plays Maryland, and Clemson (after playing Florida St. the week before) plays Syracuse. I know Tennessee is oddly high for a two-loss team, but the Vols have had the best schedule by far to this point after playing four ranked teams in consecutive weeks. However, none of their future opponents are currently ranked and none have been ranked since early last season. Tennessee’s next three weeks are South Carolina, bye, and Tennessee Tech. Many teams will have the opportunity to pass them up during this time. I don’t envy the Tennessee coaching staff’s job in trying to keep the team motivated, so a loss in one of the remaining games is quite possible (November SEC opponents are Kentucky, Missouri, and Vanderbilt). Despite that, there aren’t huge point opportunities. I’m still waiting on someone else to surpass the three-team “mid-major” group, but it may take a couple of weeks. The absence of another major team is one reason Tennessee did not lose a spot on this blog (although they were one spot higher in the computer last week). This could change on October 29, when Nebraska will play Wisconsin, Florida St. will play Clemson (as mentioned), and Washington will play Utah. West Virginia, the Big XII’s best hope (in the near future anyway), may help itself with wins in the next two weeks, and the winner of Arkansas and Auburn should move up into that range as well.